Our final landscape from around the world was Antarctica. We used a laminate floor tile and created a 3D collage using paper, newspaper, tissue paper, cotton wool, bubble wrap and sand mixed with white paint. We flew around the world to observe a different style of landscape. On our visit to Africa, we looked at a desert sunset. 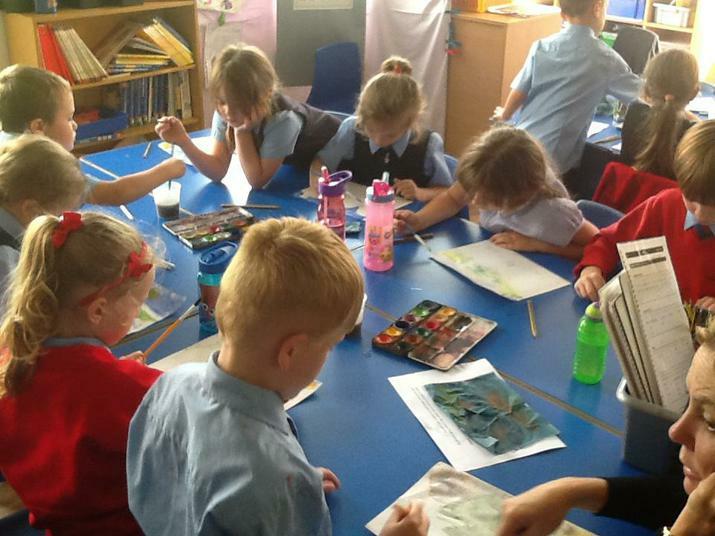 Using sandpaper, crayons and pastels, we created some wonderful masterpieces. 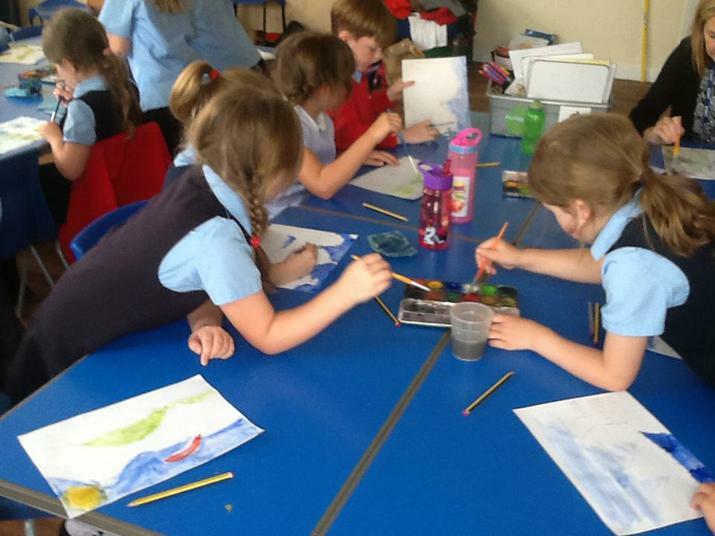 We have been learning about landscapes from around the world. 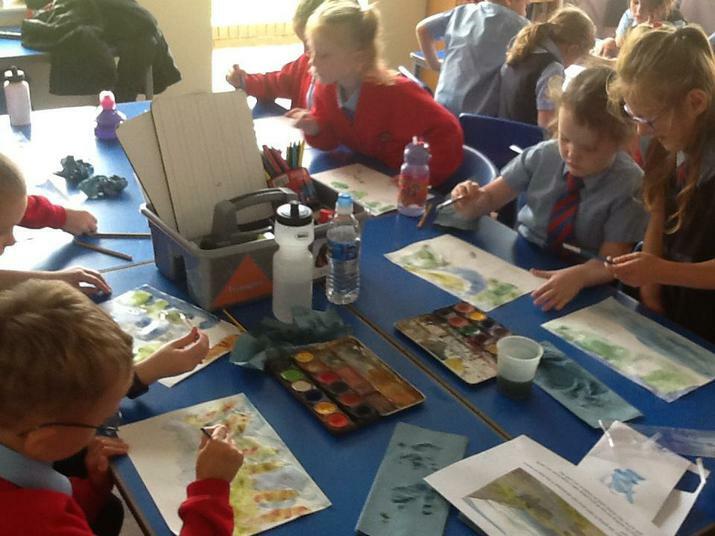 We studied the artist Heaton Cooper, who paints landscapes from the Lake District. We had to think about the island Katie Morag lives on (the island of Struay) and think about what landscape she would see through her window. 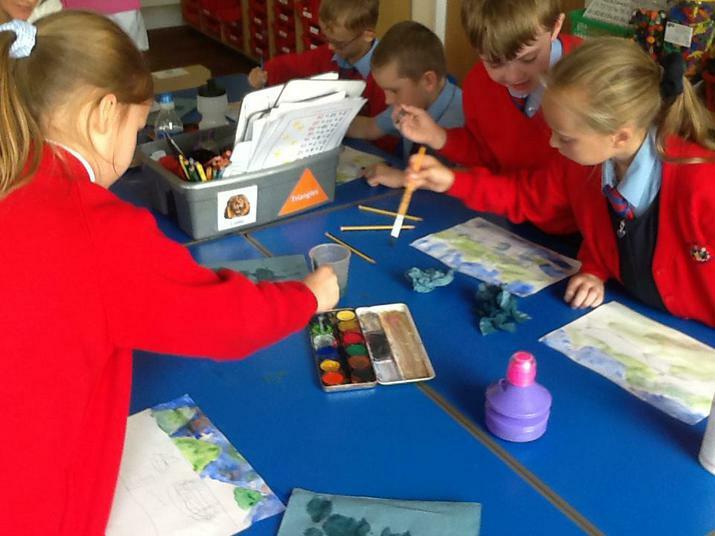 Using watercolour paints, we learned skills of creating a wash and mixing colours to blend the sky, sea and hills. 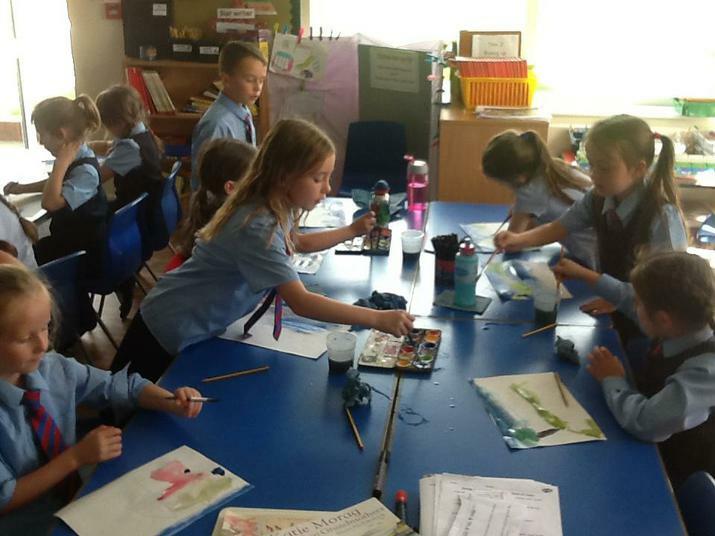 We can't wait to see our completed work on display!